Choose a set of flash cards to begin. Sign-up for a premium account to get flash cards that cover ALL 2019 exam objectives. Sign-up for our FREE account and get these benefits! 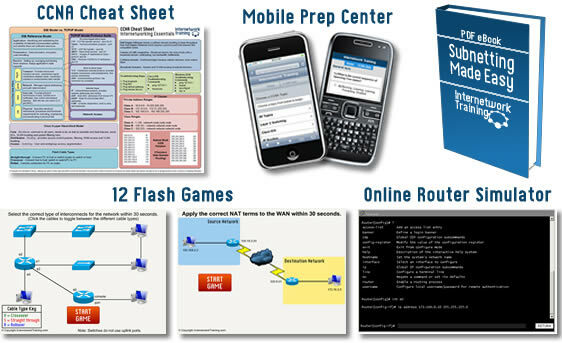 Our premium account covers the entire 2019 CCNA syllabus unlike the free material. Just US $49.00 ONE-TIME payment for 6 months UNLIMITED ACCESS!